Asma Khalid, a political reporter for NPR, introduces panelists at an event discussing the 2018 midterm elections Tuesday afternoon in the Knafel Center at the Radcliffe Institute. Four panelists — coming from academic, political organizing, and consulting backgrounds — discussed the unprecedented number of female candidates in this year’s midterm elections with an audience of more than 100 Harvard affiliates and Boston area residents Tuesday. The event, entitled, “The Meaning of the Midterms: Who Counted? 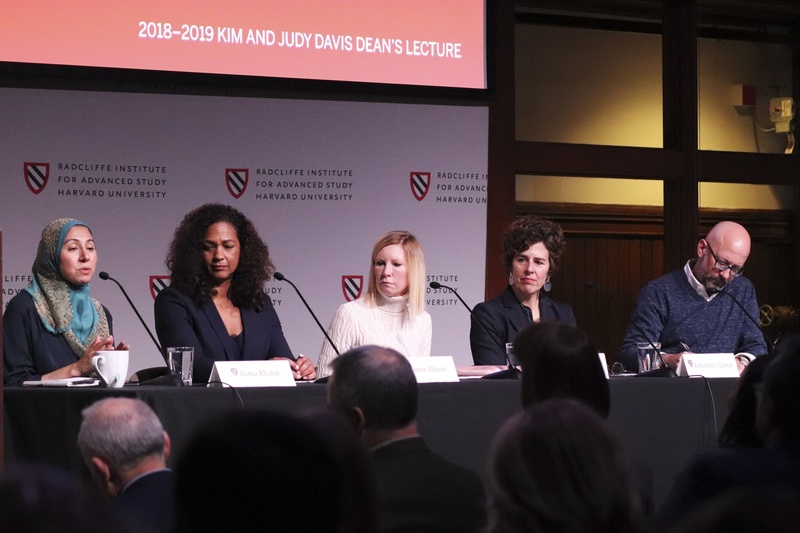 Who Voted?” took place in the Radcliffe Institute’s Knafel Center as this year’s Kim and Judy Davis Dean’s Lecture. Asma Khalid, a political reporter for National Public Radio, moderated the panel discussion, which focused on recent voter turnout, the changing electorate, and the 2020 presidential election. The event’s speakers included Aimee Allison, president of the political organization Democracy in Color; Sarah Lenti, a political consultant; Katherine J. Cramer, a professor of political science at the University of Wisconsin-Madison; and Robert O. Self, a professor of American history at Brown University. “So it was really just an attempt to diversify the conversation,” Carpenter said. Khalid opened the panel by acknowledging how widespread and exhaustive media coverage of the midterm elections has been, but said she believed there was still plenty to learn. Allison’s takeaway from the midterms was that “women of color won the elections.” Though all women candidates of color, like former Georgia gubernatorial candidate Stacey Abrams, may not have secured the seats for which they ran, they still managed to “reinvent the playbook” for a game in which their “opponent is the referee,” she said. In her remarks, Allison said Abrams had people on the ground, knocking on doors and registering eligible voters, instead of accepting the electorate as a static body and running television ads to reach her base. Fellow panelist Lenti, who left the Republican party in 2016 for what she called “obvious reasons,” had a takeaway that some audience members said they found sobering. She explained that the results of midterm elections have not historically determined the winning party in the next presidential election. Sarah E. Freedman, a Boston resident who attended the panel, said she felt disheartened by Lenti’s assessment of potential political realities. “It was very upsetting to hear that it’s just as likely [Trump] will be president and that the midterm elections mean absolutely nothing,” she said. 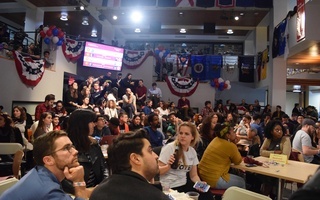 Other attendees said they believed the panel came at an important moment to continue conversations around the midterm results and their ramifications. 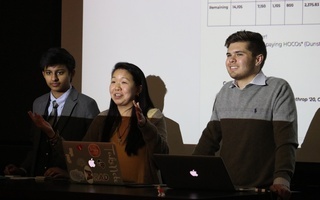 “I feel like right after elections, all the coverage is just about how it was revolutionary in terms of women in power and how Democratic states won, but I feel like because it’s been weeks after, there is more analysis now and more significance about why it matters, other than it just happened,” Boston University freshman Carina Y. Wang said. Allison said she is hopeful about the prospects of women of color in the 2020 elections. “Women of color, who showed such tremendous power at the polls, I believe will lead, because they’re creating a country of love and justice and belonging,” Allison said. The growth of populism and political brinksmanship in Washington have prompted the need for a president free of the burden of re-election. The election has been relegated to insignificance at best and a subversion of democracy at worst by the UC’s poor publicity efforts and short voting period.